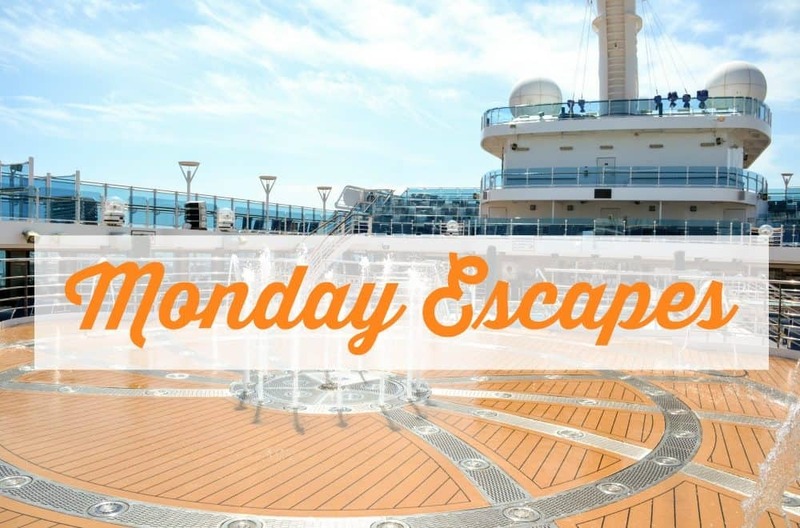 As we announced before the summer holidays Karen at Mini Travellers, Sarah from Extraordinary Chaos, Lisa from Travel Loving Family and myself are waving a fond farewell to Monday Escapes. The amazing news is that Monday Escapes is going to live on with two fabulous new hosts: Katy at Otis & Us and Daisy at Dais Like These. We are so pleased to see the linky continue and hope that you will continue to give Katy and Daisy your support. In other exciting news, I found out on Friday that Tin Box Traveller has made it to the finals of the Brilliance in Blogging Awards 2018. This is my third year in the short list and I’m so chuffed to be there with some other brilliant travel bloggers. Not only that, Cruising With Kids – the blog I co-write with Sarah, Lisa and Donna from Like, Love, Do has been shortlisted in the Fresh Voice category. If you have a spare moment to give Tin Box Traveller and Cruising with Kids a vote on the Britmums website I’d be extremely grateful! Thank you! We spent the first week of our summer in North Devon catching up with family and friends at a campsite close to the Devon and Cornwall border. It was chilled out, sadly not always sunny, but we love this area. There’s so much to do in North Devon and we got to visit one of our favourite Devon beaches, Hartland Quay. A super proud mummy moment for me over the summer was when we took Tot and Baby to try out the new Go Ape Junior Adventure near Exeter in Devon. This was Baby’s first high ropes course experience and she aced it! Our last trip of the summer was to Lake Garda where we were invited to stay with Al Fresco Holidays. Mr Tin Box wasn’t able to join us so I asked Tin Box Grandma and Grandpa along. We had a brilliant week and managed to squeeze in plenty of sightseeing around the lake and a trip to Venice. I’ll be linking up more of this trip in the first Monday Escapes with Katy, Daisy and Jenny, so keep an eye out! Finally, a shameless request for a vote! We spent the last day of our summer holiday doing some Christmas baking. I know, it’s not quite the season yet, but hear me out. Over on Facebook we’ve entered a competition to win a visit to Santa’s Lapland and I’d be grateful if you could give our Christmas cupcake picture a like on the Santa’s Lapland Facebook page (not the Tin Box Traveller page). Thank you, thank you, thank you! Don’t worry, there’s not much longer to wait before you can start linking your travel posts to Monday Escapes again. Daisy and Katy have been working hard over the summer to get everything in place to start the linky (as well as enjoying some great adventures that I’m sure they’ll be sharing with you). You’ll find the first link up on Daisy’s blog on Monday 17 September. Lovely to hear Monday Escapes will live on but sad to see you guys step down. Can understand why though, running this must have been such hard work! Thanks to you all for running the link up – its been great fun and I’ve made some new friends.